Star is 96 degrees from the moon. Moon is 23% illuminated. TNO is 42.7 AU from the Sun and 41.8 AU from the Earth. The TNO is moving 23.1 km/sec on the sky relative to the star, or, 2.7 arcsec/hr. The 1-sigma error in the time of the event is 192 seconds. The 1-sigma cross-track error in the shadow position is 3061 km. The sky-plane scale is 30315.8 km/arcsec. This table contains the target star visibility for the RECON network. 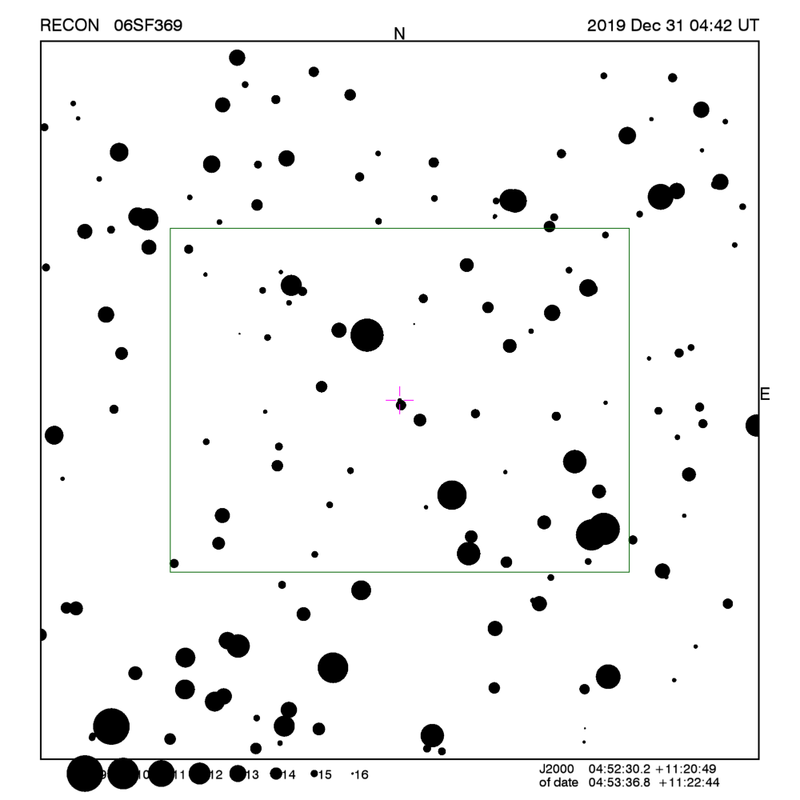 The observing range has been set to a maximum of 4.7 sigma about the mid-time.